Beginner lessons start with private sessions. 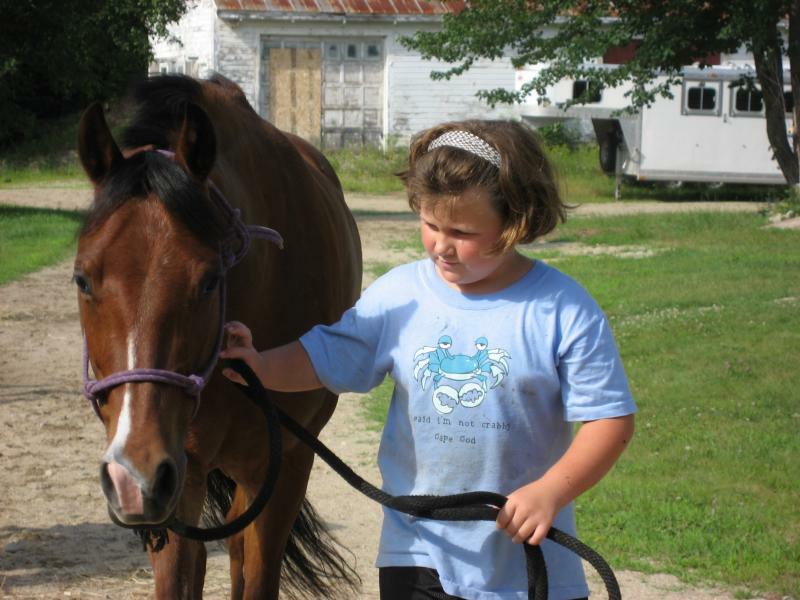 The lesson starts with getting your horse from their paddock and bringing them up to the barn. 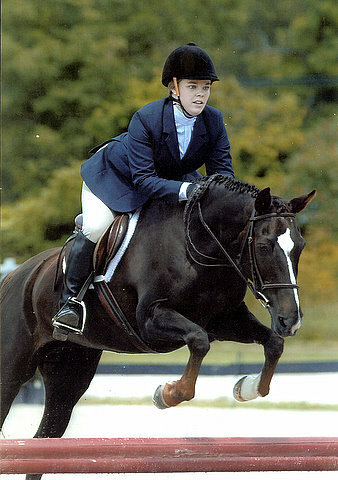 Which teaches how to handle and lead your horse correctly. 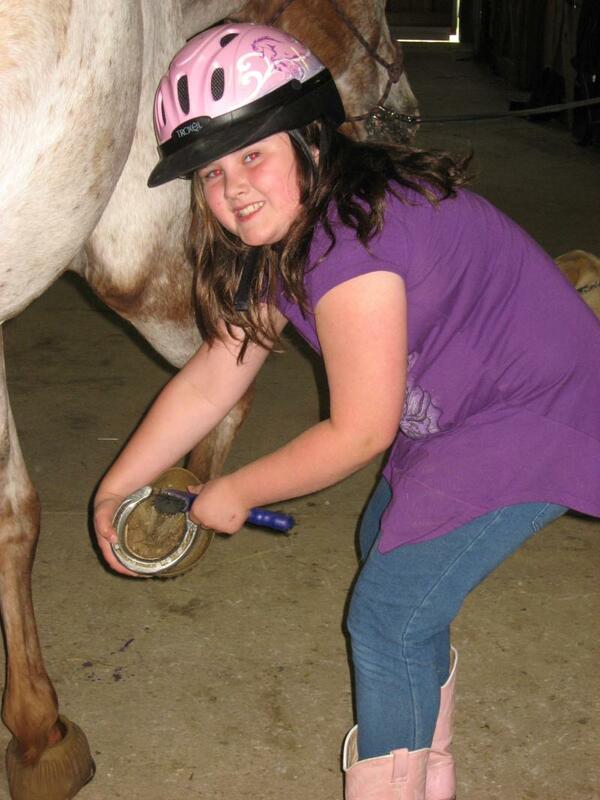 Next is grooming and tacking your horse. 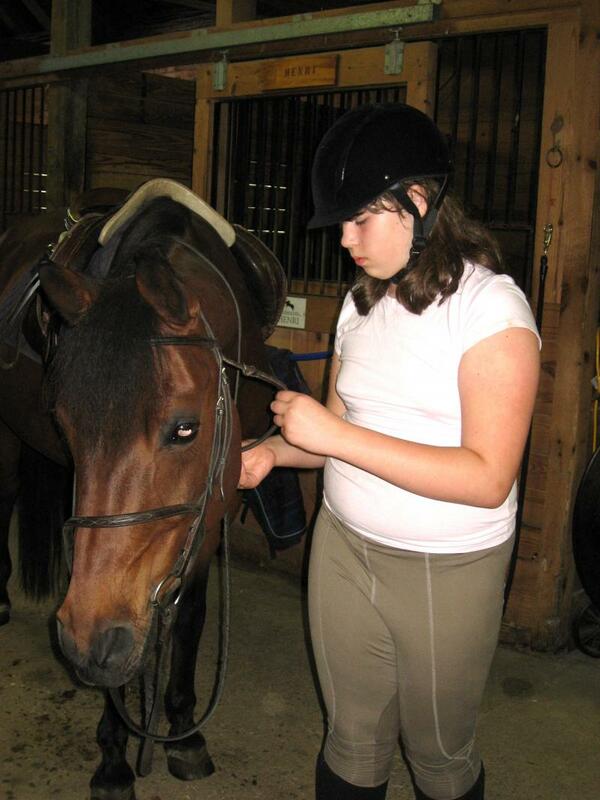 You will learn all of the different types of brushes and equipment used to get a horse ready to be ridden. 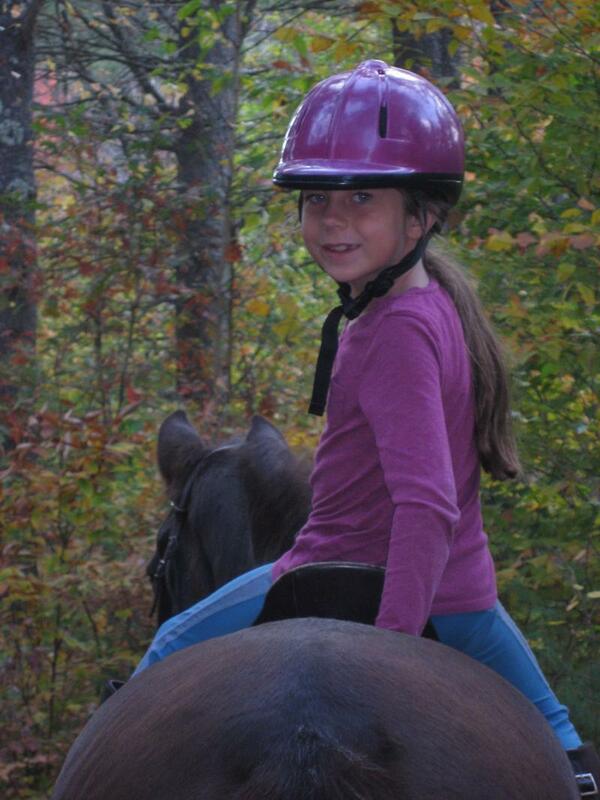 At this time relationships form between horse and rider, and help children and adults become more comfortable before they mount their horse. 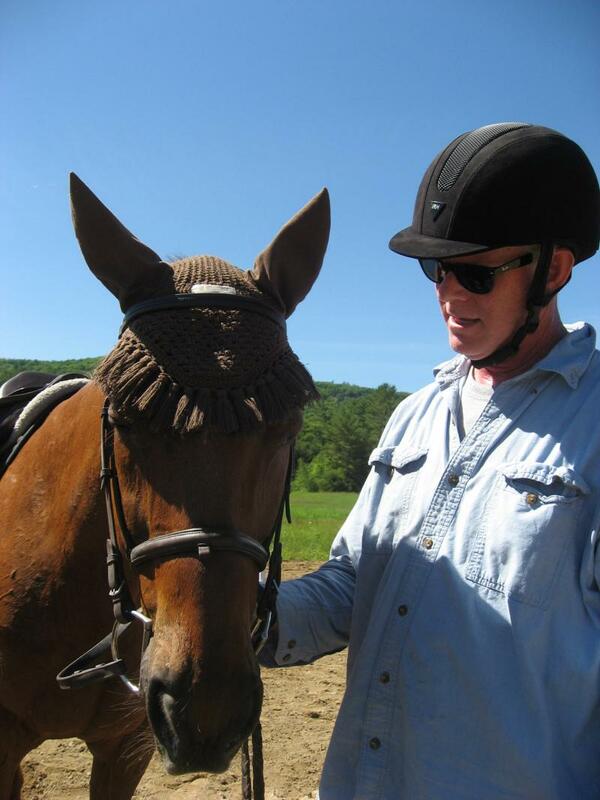 Once we feel you are safe and competent with grooming and tacking, and able to get your horse from the field by yourself... you can graduate to a full hour of riding. You are allowed to come a half hour early to get ready for your lesson without an instructor supervising. Starting on the lunge line we focus on safety, balance, and your position. 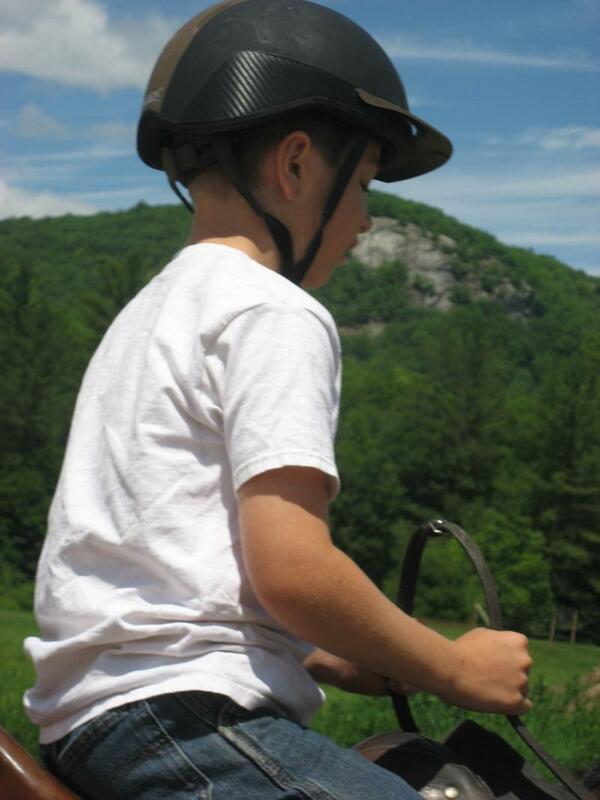 At Burnt Meadow, we want to build a strong foundation for your riding and safety. 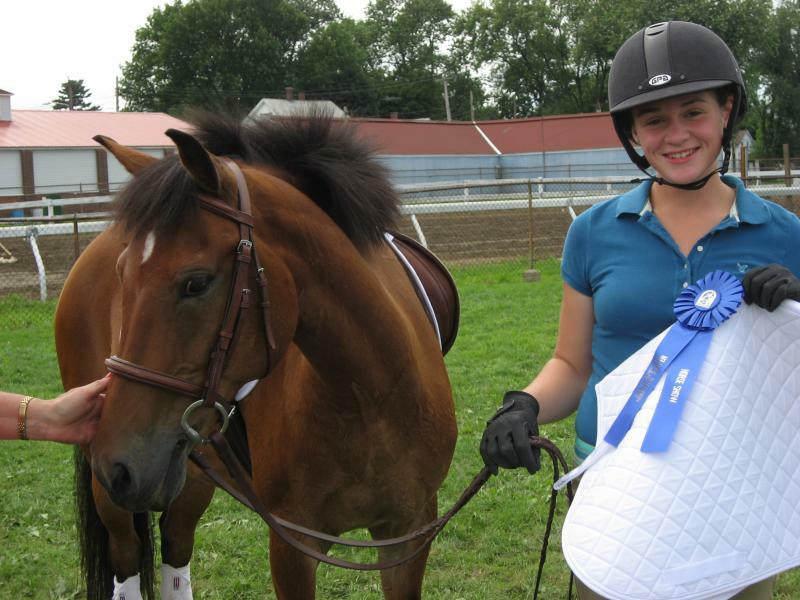 We owe a lot of credit to our great school horses who help teach our beginner riders to excel. 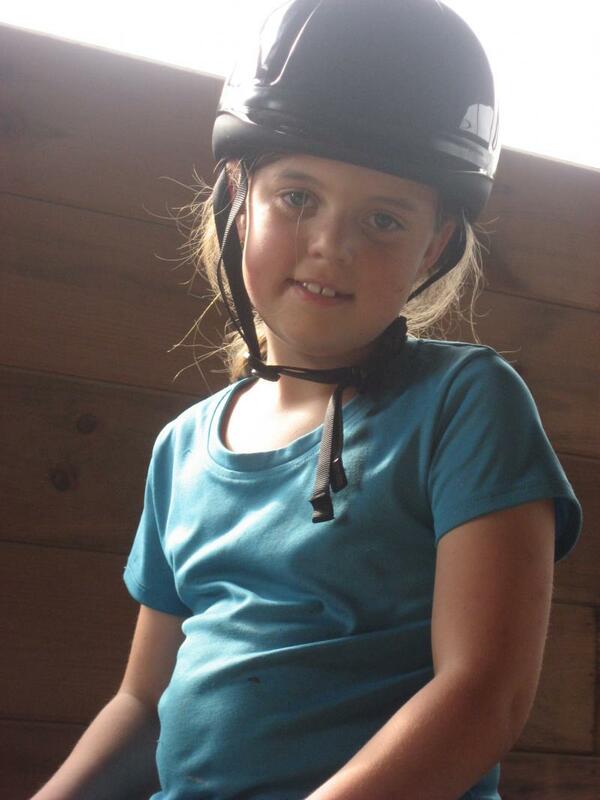 Horsemanship is not about a particular discipline, its about the bond and connection between horse and rider. And it starts from the ground up! There are so many recreation choices in the Mt. 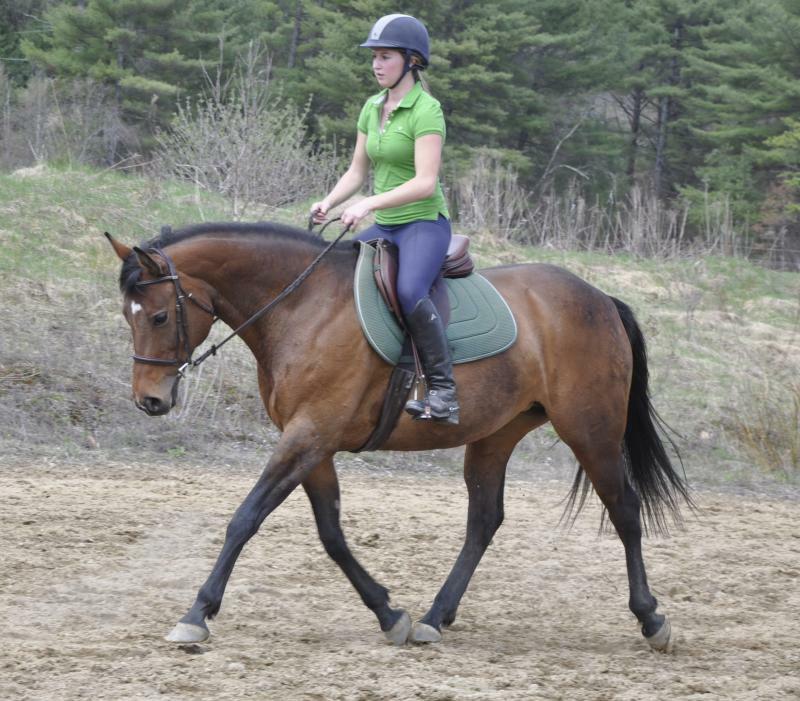 Washington Valley, but how many include both exercise and a horse who is patient enough to let you learn to ride? 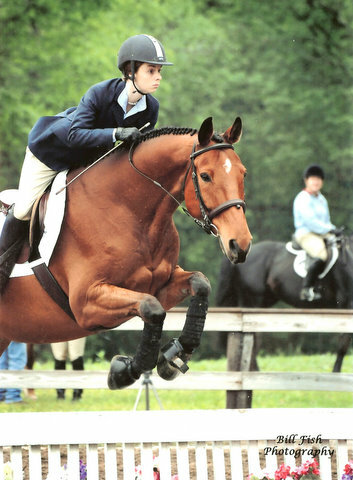 At Burnt Meadow Stables in Freedom, Sherry Donabedian is a great instructor for beginners and show riders. 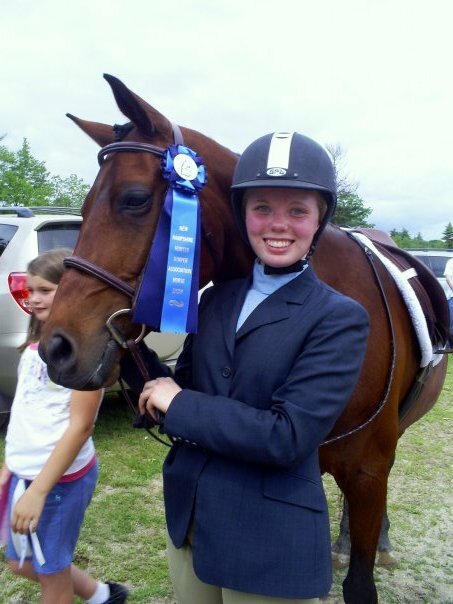 Learning to ride a horse was always something that I wanted to do, and Sherry has made every effort to teach me to ride for the last six years. I look forward to my weekly lesson, trying to improve each time. What better way is there to reduce stress than to be grooming and giving treats to an appreciative horse! 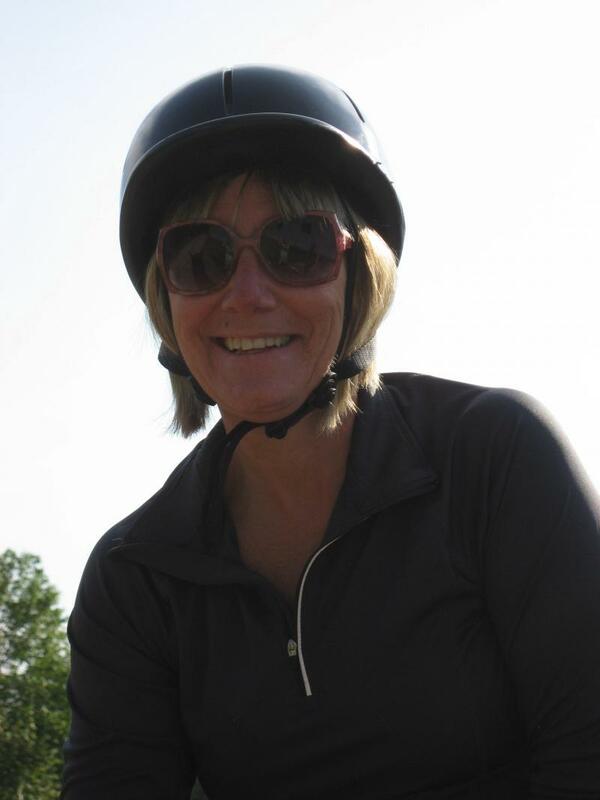 If you like seeing the horses in the pasture at BMS and always wanted to try riding, you should talk to Sherry. Support your local stable and learn to ride! 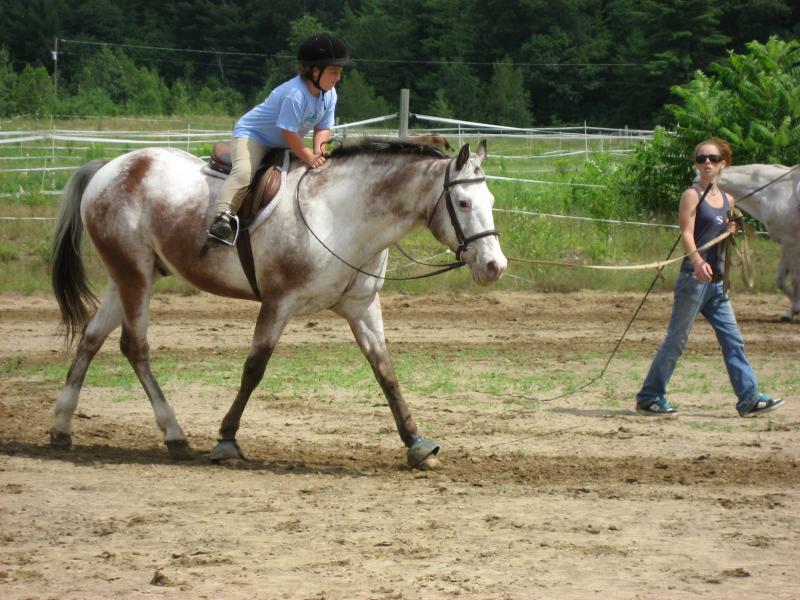 We usually don't start grouping students until you are doing posting trot and can steer well on your own. 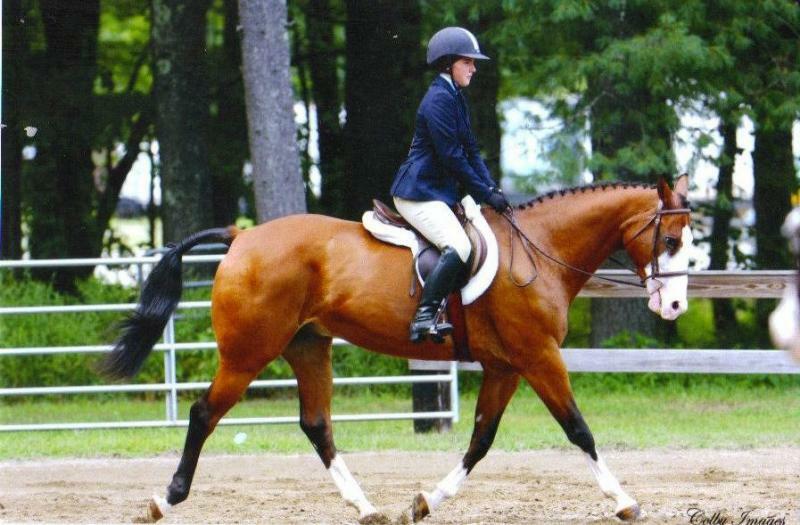 Sometimes watching others make corrections in your lessons can help you move forward with your own riding. 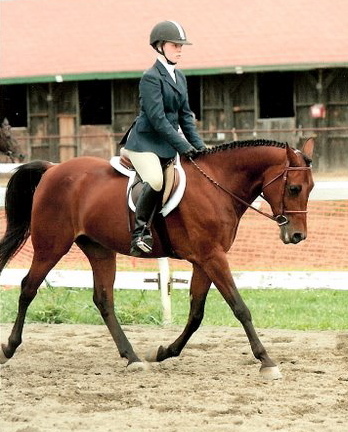 Once you have mastered all of the basics which gave you time to focus on your body and position, now it's time to learn about the horse's body position. At this time we focus on lateral work and collection. We strive to have lightness and self carriage. 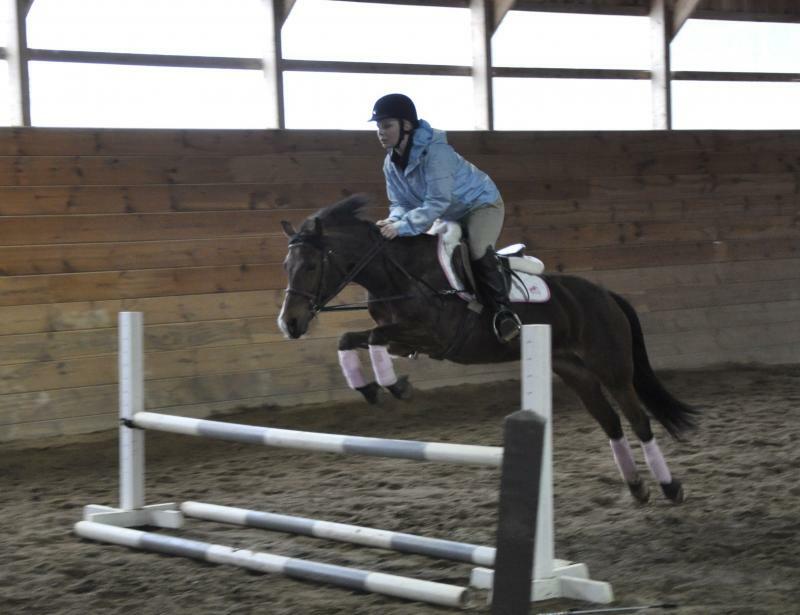 If you choose to focus on jumping, we believe jumping is flat work with obstacles in it. 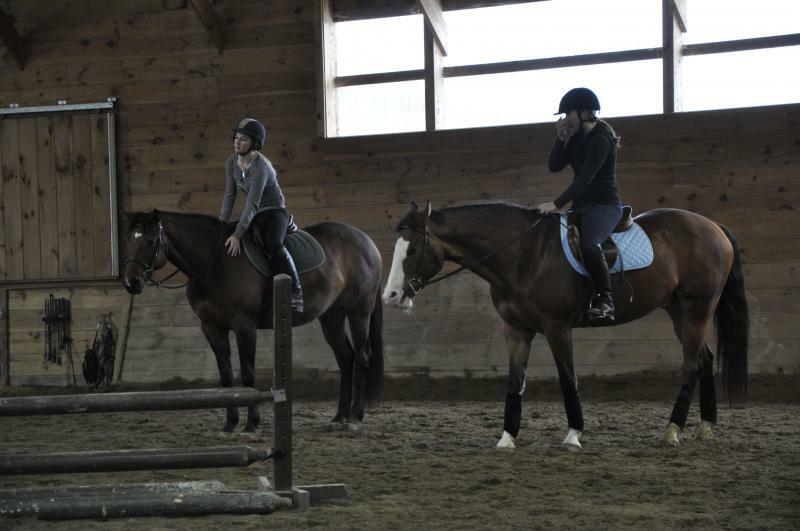 The better your flat work, the better your jumping. 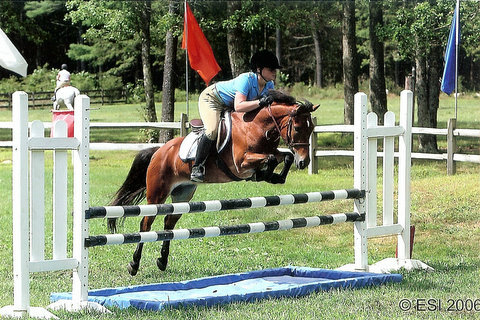 Everyone begins practicing over ground poles; focusing on a straight approach, timing for the rider, and striding of the horse, while developing your eye. As your eye and timing improve while holding the correct position, the height can be increased while also learning to do multiple jumps in a course.